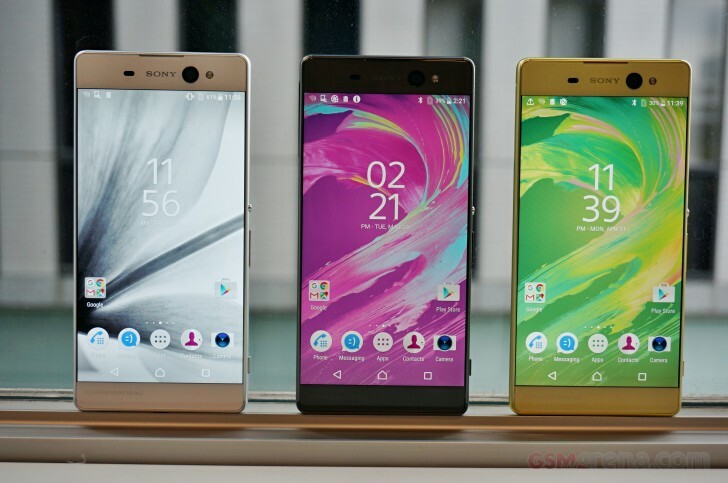 The world leading mobile manufacturing company Sony has introduced its new fantastic Smartphone Xperia XA Ultra with the ultimate features and sleek, thin, and eye-catching body design. The Sony Xperia XA Ultra hit the stores with its thinnest sleek body design, a 6-inch Full High-Definition 1080 pixel touch screen embedded with Mobile BRAVIA engine 2 Super Vivid mode. The Smartphne carry the dimension of 164 mm in Length, 79 mm in width, and 8.4 mm in depth and weighs only 202 g.
The Xperia XA Ultra Smartphone comes forth with the most powerful and advanced 2.0 GHz 64 bit Octa-Core processor, MediaTek MT6755 and the groundbreaking operating system of Google Android OS v6.0.1 Marshmallow which makes you swap between apps much faster and easily. The Sony Xperia XA Ultra Smartphone has come forth with the 21.5 megapixel HDR photo main camera with the Hybrid Auto-Focus and embedded with the Exmor RS sensor which offers 5x Clear Image Zoom, a Quick launch and capture, Auto-Scene Recognition, and Low-light photography, and a 16 megapixel front camera with Smart Selfie Flash, OIS, and Autofocus, a wide up to 88 degree angle, featured with HDR photo, Low-light photography, and Auto-Scene Recognition. The Sony Xperia Smartphone has packed with the 16 GB of flash memory for the storage of songs, images, and HD videos and an external memory support of MicroSD Card up to 200 GB and a super fast 3 GB of RAM. A 2700 mAh powerful battery up to 2 days battery life so you can joy long video playbacks. The Smartphone comes with awesome connectivity features and available in three gleaming colors White, Lime Gold, and Graphite Black.